During both classes, two things came up repeatedly: the question on just how much to cut back, and then surprise at the answer of most things get cut to the ground! At least once I even heard audible gasps. I know it's scary. Terrifying even to some. So I cracked jokes to put people at ease: "Know how to fix your fear of cutting it that hard? Shot of bourbon." ... "Get in touch with your inner Red Queen and off with it's head!" ... "It's okay, y'all. It's not going to die, but even if it did, it's not a puppy." Even so, I still sensed some reticence. 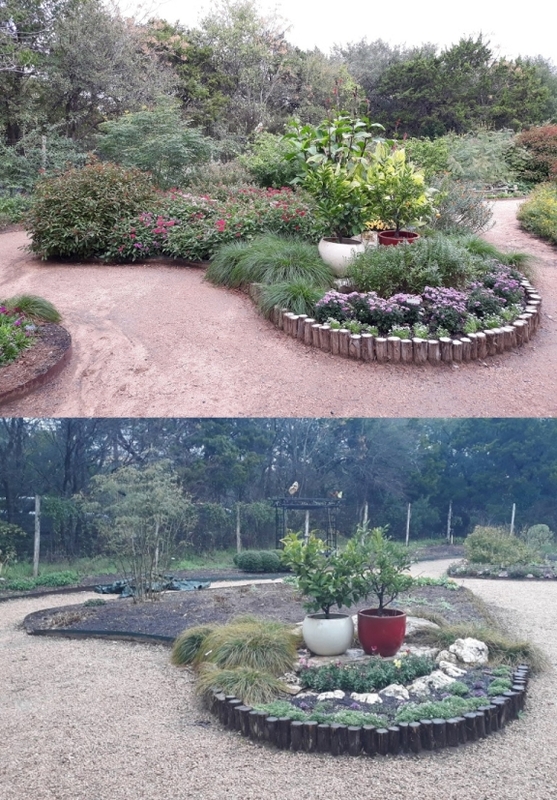 We explained that half the plant was underground, so cutting off the top really wasn't that big of a deal. We explained about the energy transfer that goes on when a plant goes dormant - as each cold snap hits it, a plant slowly transfers it's growing energy into it's roots for winter, where it stays stored until it sprouts back out in spring, so you're really not cutting off anything of great importance. And we explained that most of the stuff above was dead anyway, and even what wasn't would be hard pressed to sprout leaves anywhere but the top, and that would lead to the plant having to push all that energy aaaaaaaallll the way up those spindly branches, wasting a lot of it in the process. But still, many found it hard to digest that you really do cut most things all the way to the ground. 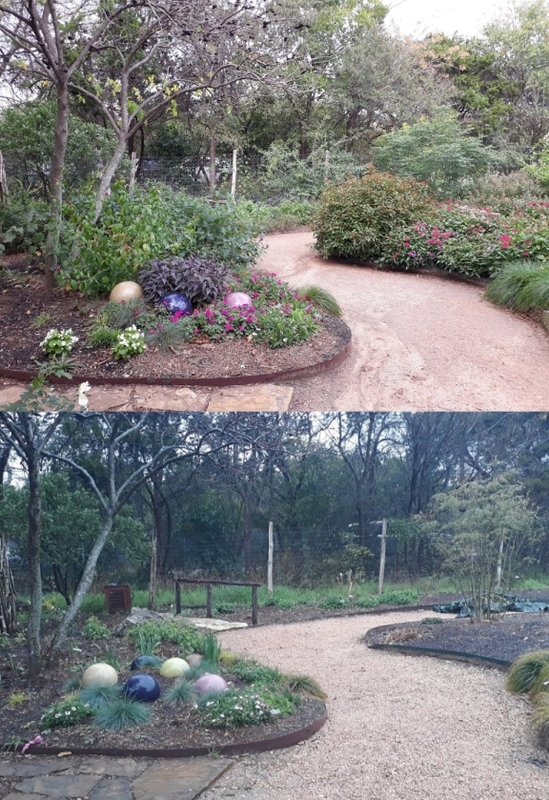 In an attempt to show everyone that it really will be okay, here are some before and after photos of our butterfly garden at work. The before ones were taken last fall when it was rockin' in there. 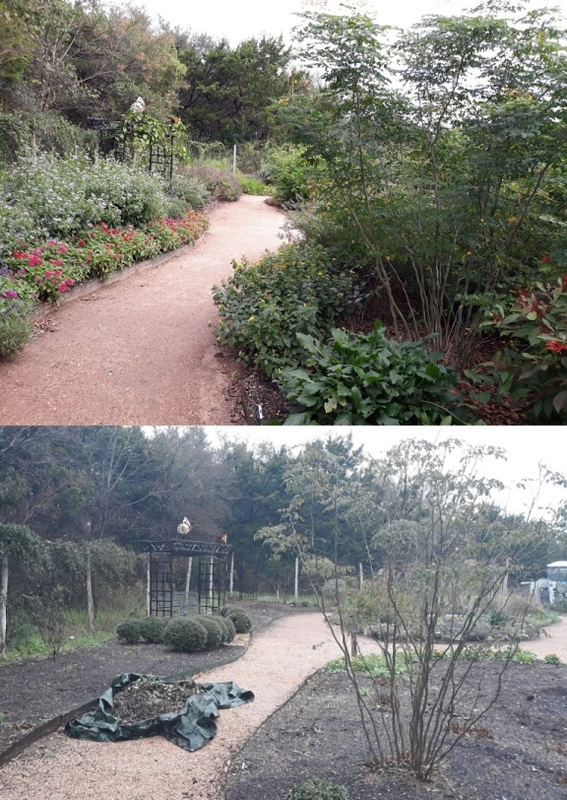 The after ones were just last week and they show exactly what the garden looked like this time last year. I'll try to remember to get a few of what it looks like this fall and post them as well, just to show that everything really is okay. Winter took the other one further down the path with it. Here is the handout for Neil Schmidt's Fermented Veggies class. 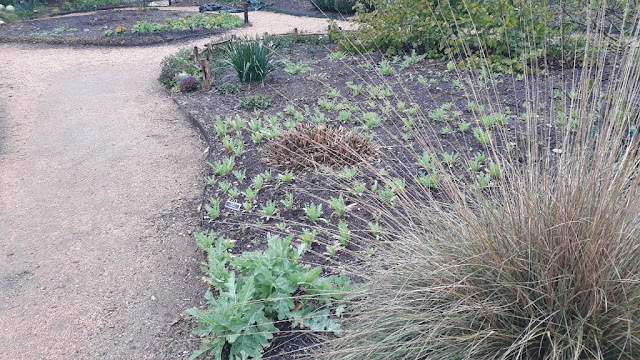 If you're interested in taking this class, keep an eye on The Natural Gardener's events calendar for the next time Neil will be presenting it. Food Preservation: Lacto-fermentation is due to Lactobacillus bacteria that produce lactic-acid in anaerobic environments. These bacteria are found on the surfaces of vegetables and the digestive systems of humans and other animals. 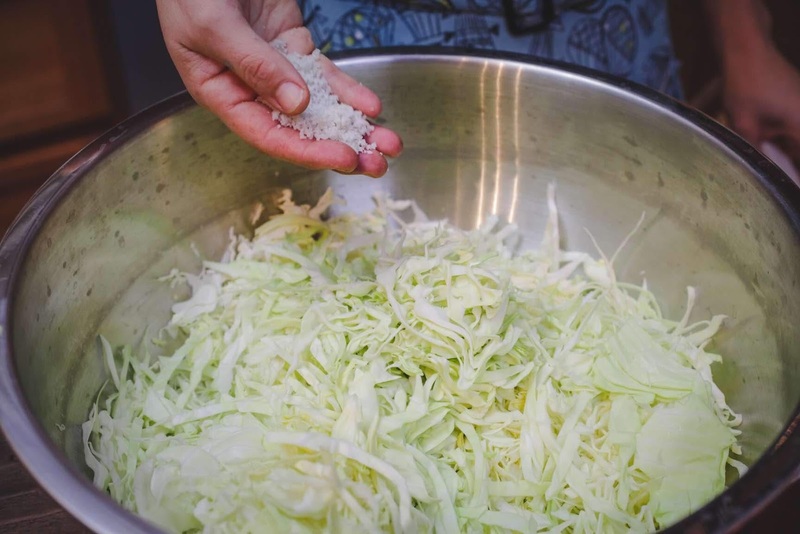 Lacto-fermentation not only retains the nutrients in the veggies but they are more easily digested since they have been slightly broken down. Most food processing for storage decreases the nutrient content of the food. Lacto-fermentation allows for medium to long term storage without losing nutritional content. 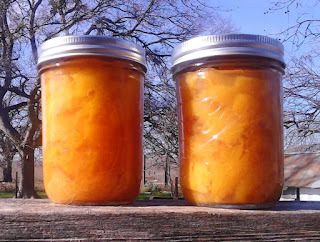 It is also less resource and labor intensive than canning or freezing. On top of these benefits the microorganisms in lacto-fermentation are highly beneficial probiotics for intestinal health. Whole cabbage leaf to hold down smaller pieces. 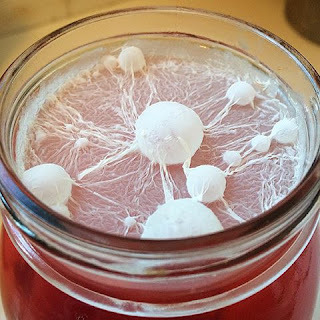 Traditional Fermented Foods: Every culture on Earth has developed some types of fermented foods. We will focus on the veggies! Pickles, Sauerkraut, Kimchi and Escabeche are just the tip of the iceberg! 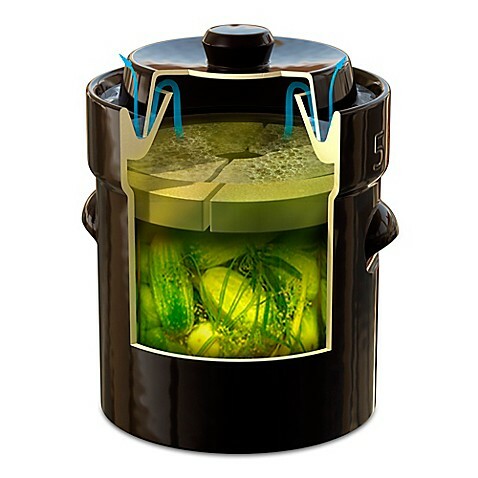 Container w/ lid – Fermentation vessel needs to be large enough to hold all veggies and at least 1-2” of brine above. Large Metal Bowl – Large enough to mix veggies with salt and squeeze thoroughly. Jar Funnel – Helps keep the area cleaner and easier to pack jars. Large Spoon – Used to get veggies in and out of the fermenter and jars. Fermentation vessels each with a different airlock system. 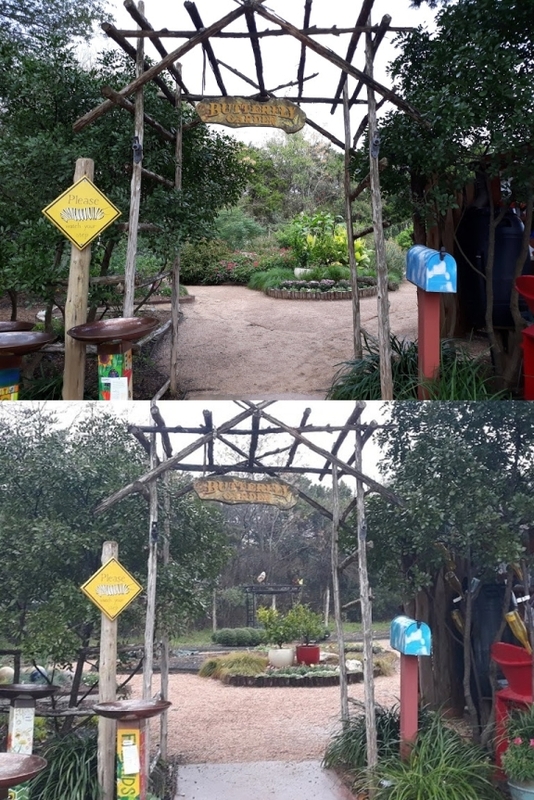 Process: 3 rules to keep in mind: Use fresh organic produce, keep it salty and submerged. If you follow these tips your finished product will be delicious! 1) Clean all equipment thoroughly. It does not need to be sterilized. 2) Cut veggies to desired size, place in large metal mixing bowl and coat with salt. Massage salt into veggies and squeeze out all liquid possible. Let sit for 2 hrs. 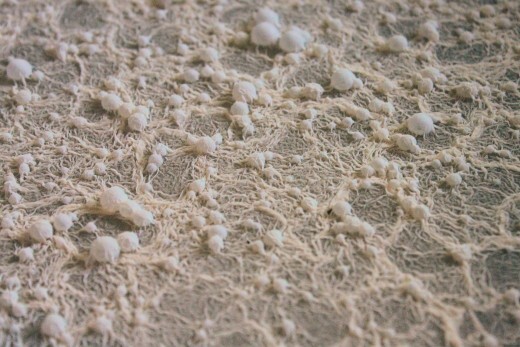 Kahm yeast – edible but can impart off flavors. Increase salt content of brine and the issue should go away. 3) Squeeze out all liquid again. Then spoon into fermentation vessel pouring brine on top to cover veggies. More brine can be made and added if there isn’t enough. 1 tsp-1 tbs/cup of cold clean water. 4) Cover the surface of veggies by layering whole cabbage leaves to keep pieces from floating to the top. Place weight on top on cabbage leaves. 5) When the desired sourness is achieved (5 days- 2wks) skim all growth from the surface of the brine and unpack fermentation vessel. Pack into clean jars, fill with brine and refrigerate. 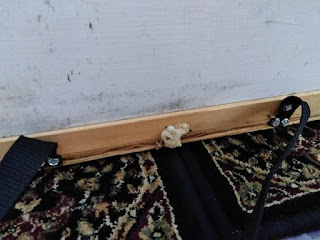 Contamination by mold or other harmful organisms is not very common when the 3 major tips above are followed. If mold is found or the veggies have started to disintegrate and become mushy you will want to discard that batch! Basically when in doubt through it out! However, strong smells do not indicate a problem. I have found it always smells worse (stronger) during the ferment than once it is harvested. 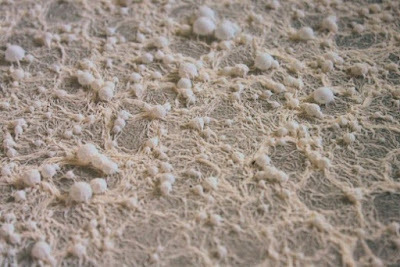 Kahm yeast is a common organism that can grow on the surface but presents no problem other than slightly off flavors. If Kahm yeast becomes a problem make your brine a little saltier. If the batch seems too salty or vinegary the veggies can be rinsed and new less salty brine added to the jars when putting them in the fridge. I GOT EGGS!! I GOT EGGS!!! AND I'M SO EXCITED I'M ABOUT TO POP! SO I GOTTA' TELL SOMEONE SO I DON'T!!! See?! EGGS!!! Those ickle bitty white things in the cells near the bottom. 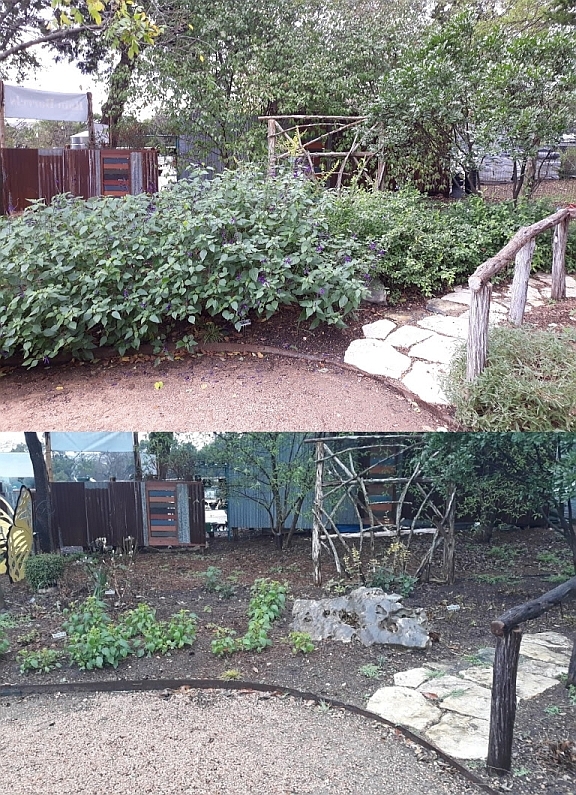 Late last month, the same day I brought those Africanized foragers home, I split one of my honeybee colonies into four (five counting the Africanized forager one). A couple weeks before, I'd also taken a little split from another colony, the one in the top bar hive I got from Sarah and Justin (Hi, Sarah and Justin!). Checked them today and four of them have eggs! That means QUEENS!! The fifth looks like it should any day now, and the sixth - well ... it's made up of those Africanized foragers, and it's all the way across the creek. I should check them, too, but they're all the way across the creek, and they're assholes, so I don't wanna'. I have a young friend who wants to get into bees, and I told her if I'm lucky with the splits, I'll share. I'm going to have so much fun texting her that SHE'S DEFINITELY GETTING BEES! Update: I texted her and SHE'S ABOUT TO POP, TOO!! What a good day. See that black blob? That's a bee who wanted her closeup. How to Change an Aggressive Colony of Bees from Demons to Angels. 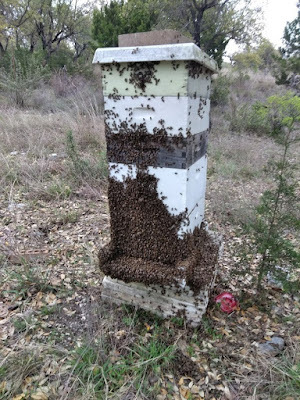 A friend of mine "inherited" a honeybee colony when she bought her property a few years ago and they came with it. They'd always been gentle little things, causing no more trouble than drinking from her birdbath and drowning in it occasionally. 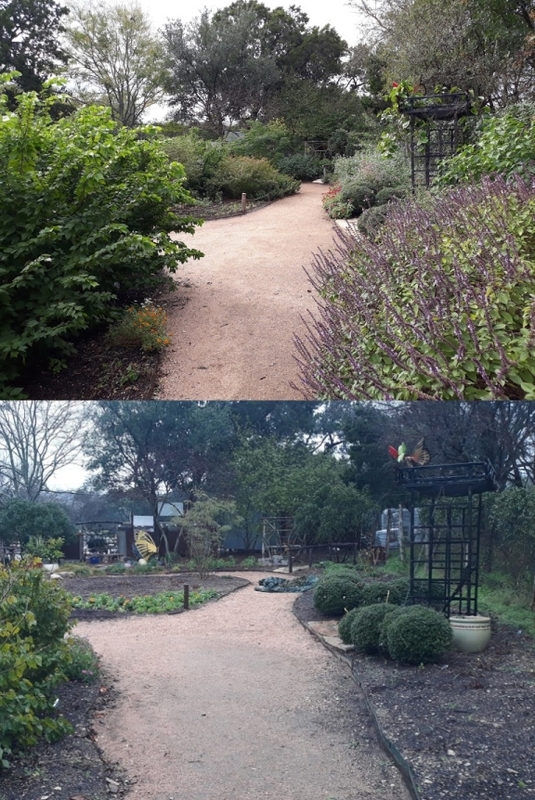 She'd enjoyed watching them flitting around her butterfly garden and pollinating her squash. She's not (yet) a beekeeper, but felt strongly that her property benefited from them being there, so she called other beekeepers out to check them every now and then to make sure they were healthy. Life was good. After my inspection. Man, that's a lot of bees! That changed this spring. 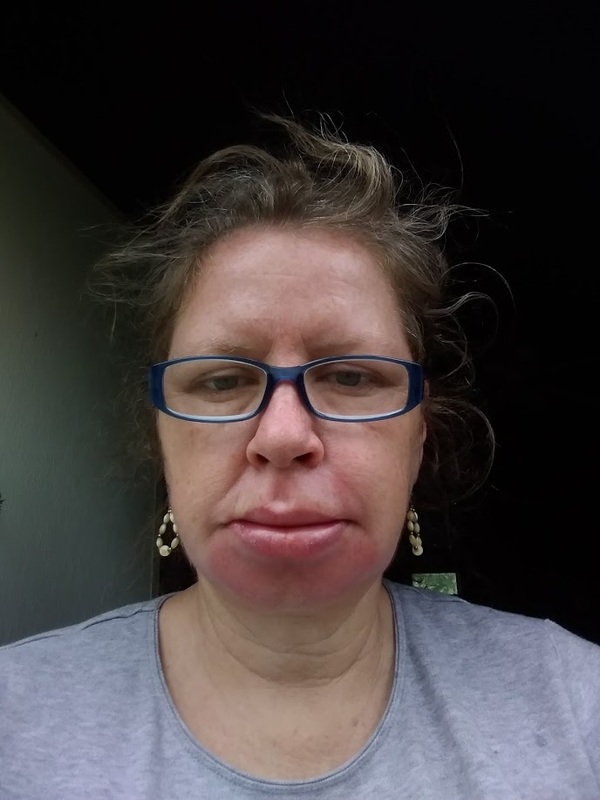 They started buzzing her up at the house a couple hundred feet away, fifty or so at a time, getting caught in her hair and stinging the dogs. Something was wrong. So she hired me to come check them, to see if the little jerks at her house were from her hive or a feral colony. I suited up, lit my smoker, and dug in. It didn't take long to find out that yep, it was her hive. I got bumped by a couple bees twenty feet from the hive, and man did they boil out as soon as I took the top off! 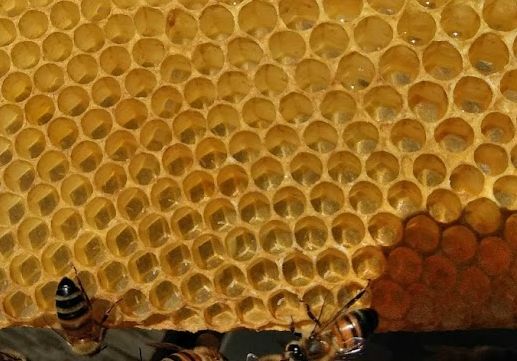 Ever seen three hundred tiny little faces lined up along the edge of a beehive box, glaring at you with much malice in their beady little eyes, vibrating with malevolence while five hundred of their sisters dive bomb your face? I have. They were scary mean, so I knew and she knew they had to be dealt with. How they got this way we'll never know for sure, but it's likely her old gentle queen was superseded, and the new one bred with some drones from a mean queen in another colony. I told her we should requeen with a more gentle one, and we set about finding her. BeeWeaver was all out for the season, so she called Tanya Phillips of Bee Friendly Austin to see if she had any available. 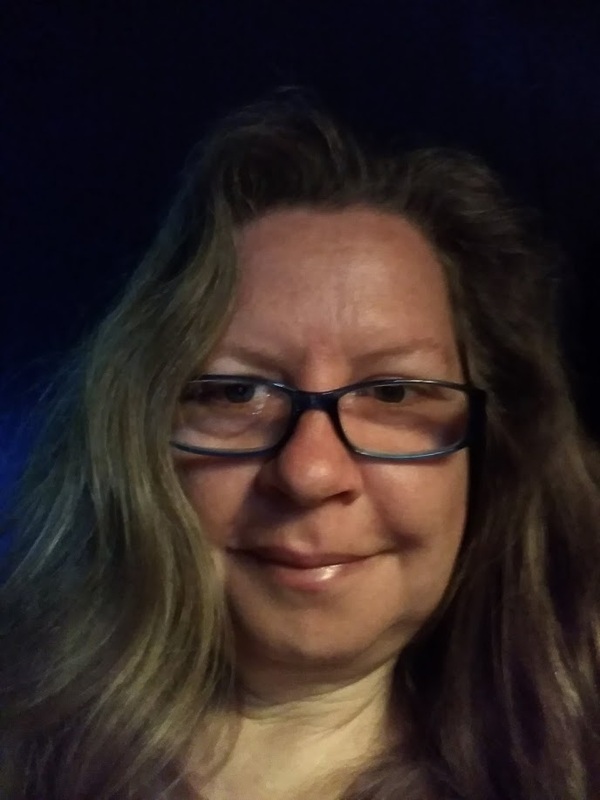 After describing to her what I told my friend I'd gone through, Tanya strongly recommended she get Les Crowder to do the requeening. Of course I jumped at the chance to tag along! So I called him and we made a plan. I installed queen excluders between all the boxes so he could find the queen easier the following week, and we met up at my friend's house five days later to do the deed. 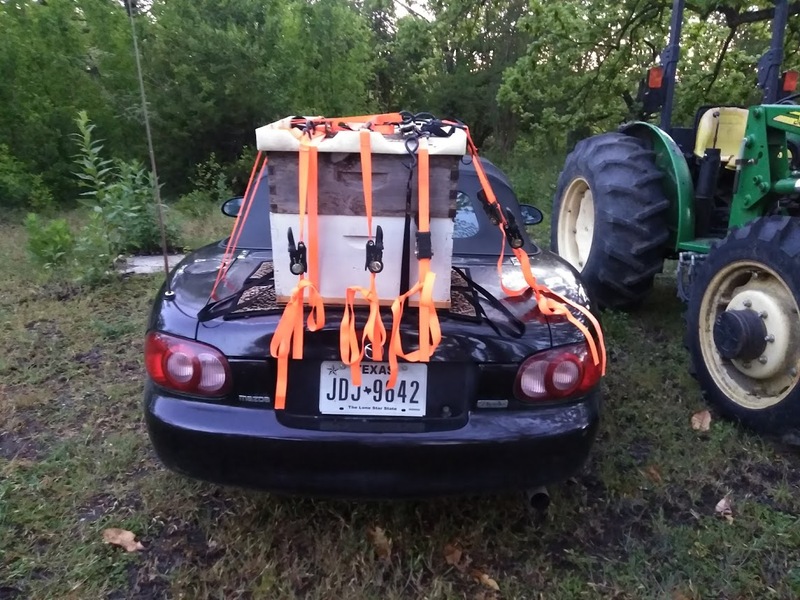 How to haul bees with a Miata. Who needs a truck anyway? Les is a soft spoken man who just feels good to be around. He worked the bees so gently, taking care not to squash any if at all possible, taking his time easing each frame out, working slowly and methodically, waiting for the bees to get out of the way before doing the next thing. I like that. I'm the same way. 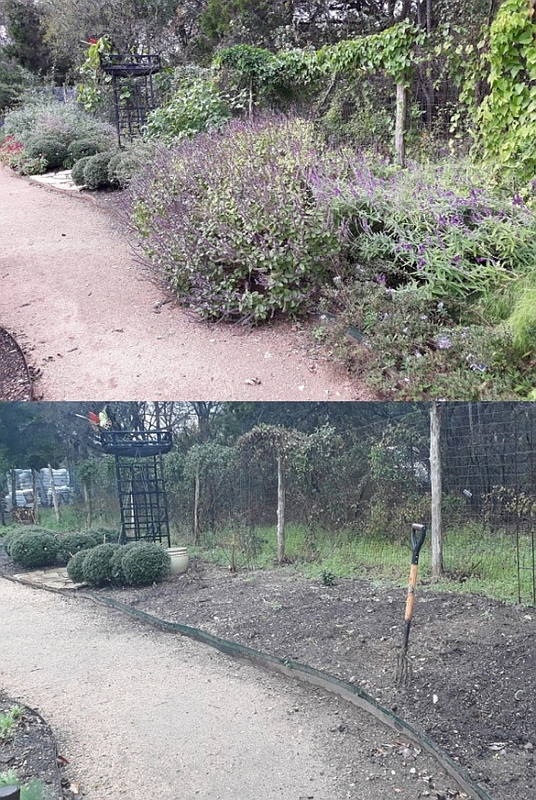 Part of it is self-serving - the more bees you kill, the madder and more likely to sting they get - but a bigger part of it is the guilt I feel for killing them just so I can hurry up and get things done. Yeah, yeah, there's over twenty or forty thousand of them in the hive so what does it matter to kill a few. Well, there's over half a million minutes in a year, so what does it matter to kill a few of those instead? I was ready with my little bottle of alcohol when Les found the queen (I bet she makes a great swarm lure!). We talked a bit about what an amazing animal she was, such a strong queen to make such a productive and healthy colony, how Mother Nature sure knows how to breed things better than we can. Of course we both knew what had to be done, and into the alcohol she went. Beeswax makes a great entrance plug. 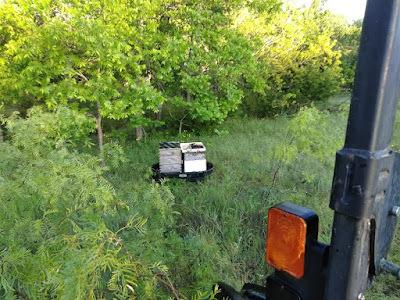 Les proceeded to move the hive to a new spot further from my friend's house as I gathered up tools and set a box on the original spot to catch the foragers so I could take them away that night. On Les's suggestion, I'd brought a frame of open brood with eggs from my Sweetheart Hive, a darling little feral colony I'd cut out of the floor of a storage shed in South Austin last fall. 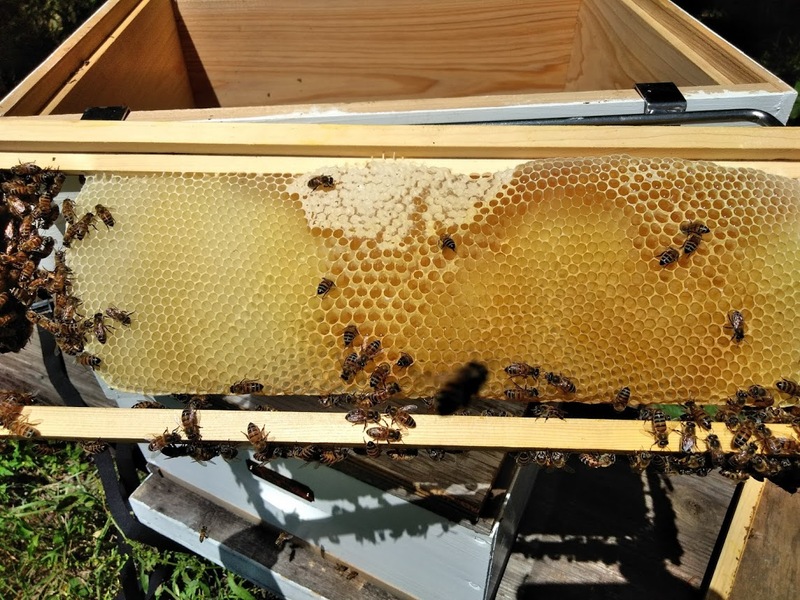 We put it in a box with a few frames of capped brood from the aggressive hive, and I set it in place. 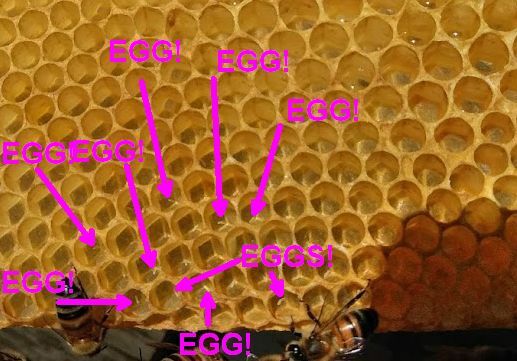 Taking some of the capped brood and the majority of the foragers would lessen the numbers of aggressive bees my friend had to deal with while waiting the month and a half for the new queen's more docile daughters to take over, and if all goes well I'll end up with a new colony headed by a daughter of my Sweetheart queen. Nice trade for being willing to deal with the jerkiest of the jerks for a month or two. Les told me where the queen cage was so I can find it easily when I come back in a week to let her go, and we left, glad to be away from that colony. Man, they were not fun. I'm so glad my friend called Les to do this. Not only was it fun to work with him (yes, him - not those bees), but I learned things, AND he saved me from making a big mistake. If it had been me, I'd have let them release the queen in a few days, or released her myself in three. Les said with Africanized bees, which these very well may have been, that's too early. They'll likely kill her unless you leave her in the cage for at least five days, or better yet a week. 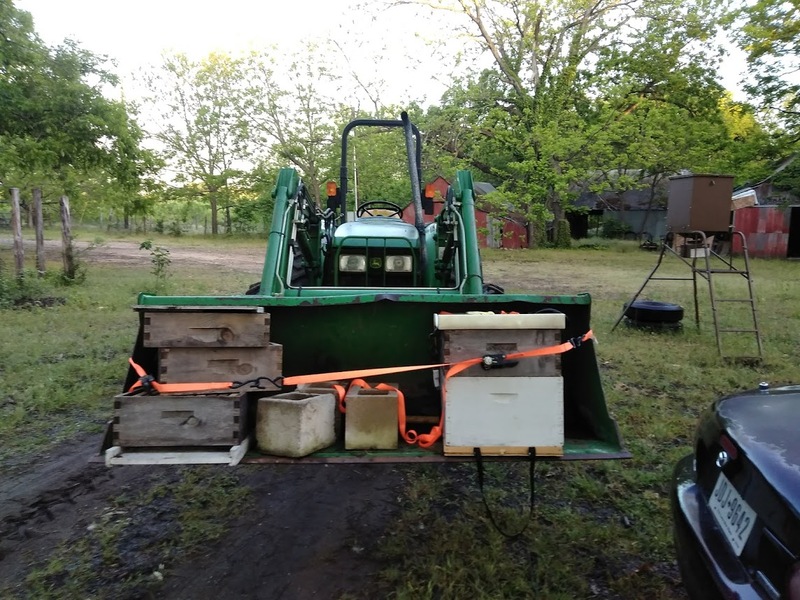 So yeah, my inexperience with Africanized bees would have at best cost my friend more money and frustration having to find a new queen and having this done all over again, or at worst doomed her colony. Crisis averted! 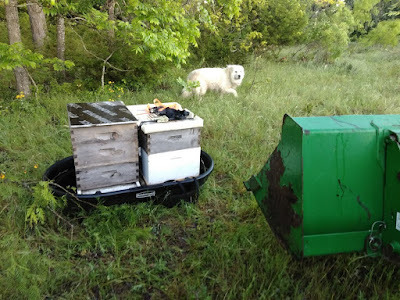 I'm so glad I got to avoid screwing up and dealing with the guilt that would come along with it, especially because I'd told her, before I found out how mean they were, that between the two of us we could absolutely handle caring for this hive without having to call anyone else in to help. Ooof. I wonder if Joe knows what's in the boxes. As if riding four miles on the back of the Miata wasn't enough to piss them off, they got loaded into the tractor bucket when I got home and, as daylight broke, we slowly vibrated our way across the creek to the spot I'd carefully picked out for them, Joe Dog following behind. 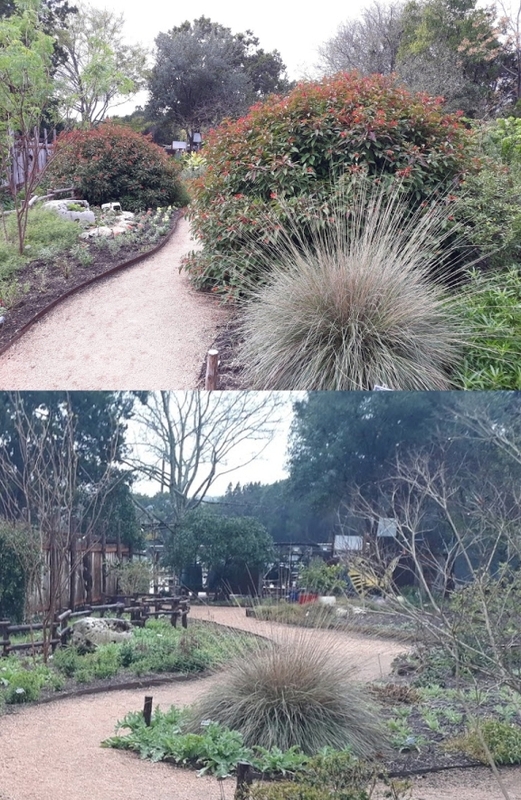 Their new home is a few hundred feet from my house, a hundred more than that from my beeyard, across the creek and through a bunch of brush and trees. I would have put it even further away, but wanted to keep it a good distance from the county road back there. Bicyclists ride by there fairly often and I didn't think they'd appreciate SURPRISE BEES!!!1!! Though I guess it would have made them pedal faster ... more cardio, yes? Opened up and all done! Yes, I took that photo while hiding on the tractor. mad. Good thing it was still cold or me and Joe would probably have gotten nailed a few times again. It feels good to have accomplished this. I'd always wondered if I could take working a really aggressive colony. Living in an area Africanized honeybees have definitely infiltrated, that's a very real possibility. My friend said Les told her this was one of the most scary-aggressive colonies he's encountered in this area. With his decades of bee experience, that's saying something. So now I know. I'll be fine. So long as I have xanax. the National Center for Home Food Preservation’s website nchfp.uga.edu. LADLE hot liquid over peppers, leaving 1/2 inch headspace. REMOVE air bubbles, wipe rim, apply lids/bands and tighten fingertip tight. LADLE hot salsa into hot jars leaving 1/2 inch headspace. REMOVE air bubbles, wipe rim, apply lids/bands and tighten fingertip tight. PROCESS filled jars in a boiling water canner for 20 minutes, adjusting for altitude. Quick Tip: Use from 5 to 10 hot peppers to reach the level of heat you desire. Rinse squash well, remove blossom and stem ends and shred in a food processor. 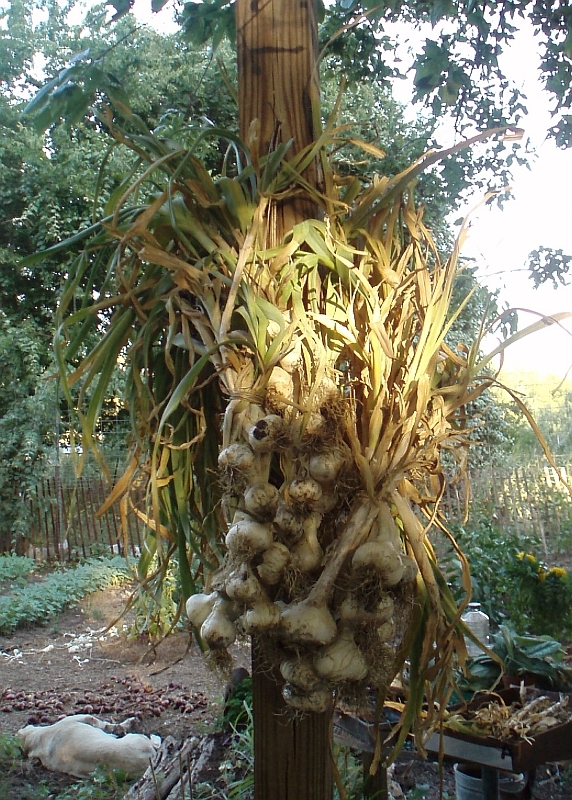 Peel onions and remove root and stem ends. Rinse well and dice, or shred in a food processor. Combine remaining ingredients and bring to a boil. Carefully add squash and onions. Return combined ingredients to a boil; boil gently for 5 minutes, stirring often. Pack hot vegetables with liquid into sterilized, hot jars, leaving ½-inch headspace. Make sure liquid covers the top of the food pieces, wipe rims, and apply and adjust prepared canning lids. Process in a boiling water canner for fifteen minutes, adjusting for altitude. PROCESS filled jars in a boiling water canner 40 minutes for pints and 45 minutes for quarts, adjusting for altitude. TRIM off ends of green beans and discard. Wash. COMBINE vinegar, water and salt in a large saucepan and bring to a boil over high heat, stirring to dissolve salt. PACK beans, dill and garlic in jars leaving 1/2 inch headspace at the top. LADLE hot liquid over bean, leaving 1/2-inch headspace. PROCESS jars for 10 minutes, adjusting for altitude. For an online copy of this handout and others, go to TheRedneckHippie.com and click on the “Tutorials” tab. 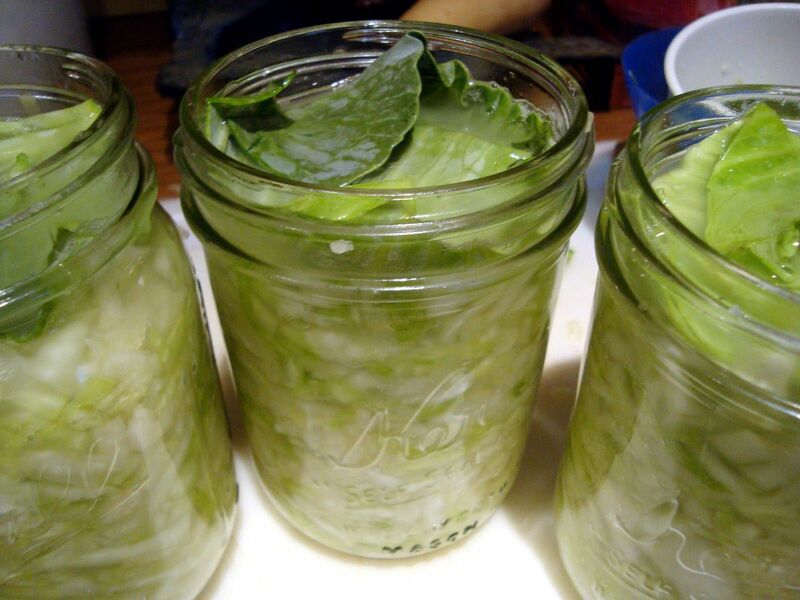 Most foods can be frozen easily preserving the texture more than canning. Before freezing, most vegetables must be blanched using either boiling water or steam. Water Blanching: dunking the vegetables in boiling water for a few seconds or a few minutes. Steam Blanching: steaming the vegetables in a single layer held over boiling water. What vegetable you are preserving will determine the best method and time - consult the table on the “Freezing” page on NCHFP’s website (url below). Once the time is up, remove the vegetables from the boiling water and dunk them immediately in either cold or ice water. Pack into freezer bags, label with contents and date, and freeze. Whole: There are a lot of vegetables that are almost designed to be stored by simply drying them once they are mature: winter squash, garlic, onions, soup beans, soup peas, cowpeas, and hot peppers. 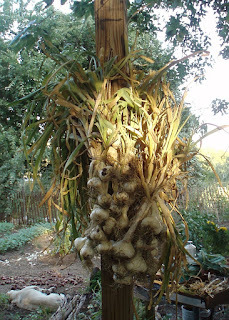 Simply let them mature completely on the vine/plant, then store indoors or out of the weather. Beans and peas will need winnowing to remove the husks. Sliced: Other vegetables take a bit more work to dry. Tomatoes, green beans, peaches, apples, apricots, and many more can be washed, sliced, and dried on racks, then stored in vacuum-sealed jars or frozen. In less humid climates, people can simply put the food on covered racks and leave them outside where there’s a good air flow. 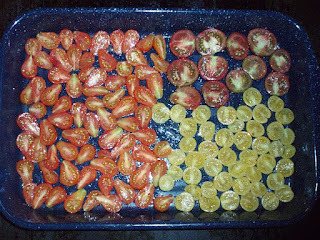 It’s quite humid here, so using an electric dehydrator or your oven is wise. Oven-Dried Tomatoes: Best done with small, cherry types. 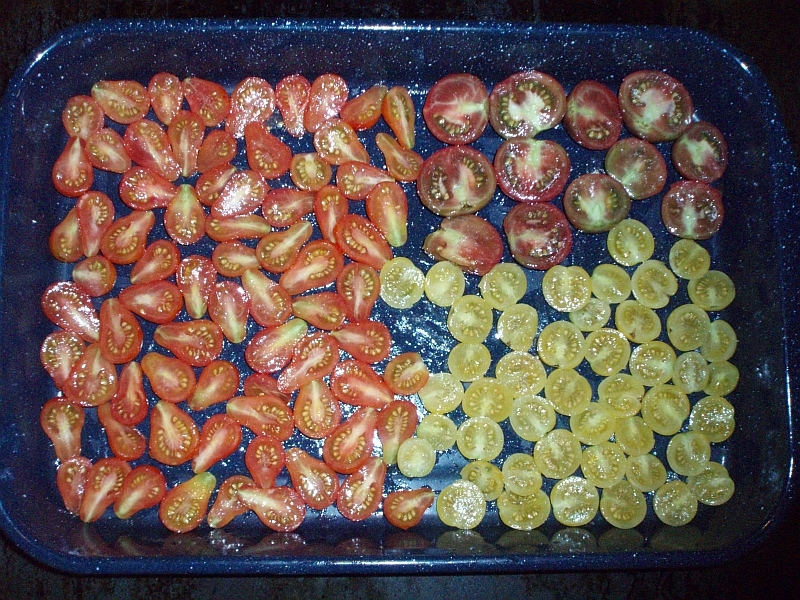 Slice them in half or thirds, lay in a single layer in a baking pan or cookie sheet, and bake in the oven on it’s lowest setting until dry and leathery (Some gas stoves have a pilot light that alone will dry tomatoes overnight.). Store in the refrigerator in a glass jar with a tight-fitting lid, or freeze. Leather Britches: Green beans strung on a string, ends and "strings" removed, then hung to dry until leathery. Water-bath canning = to preserve very acidic foods (at least 4.6pH) - heating sealed jars of food in boiling water for a specified time. Kills all bacteria and toxins except botulinum spores, so only food that is 4.6pH or more acidic should be preserved this way (that level of acidity keeps those spores dormant). Pressure canning = to preserve foods more alkaline than 4.6pH - heating sealed jars of food under pressure which raises temperatures above 212 degrees, so kills even the botulinum toxin spores. Both processes are exactly the same in their methods until you do the actual cooking/boiling. Then the only differences are the type of canning pot, the amount of water in those canning pots (only 2 to 3 inches in pressure canning – completely covering the jars in water-bath canning), the application of pressure, and possibly the amount of time to process. Large pot with lid and rack, large enough to hold jars along with enough water to cover them well. A pasta pot with colander insert works well for small batches, or soup pot with vegetable steamer in the bottom. 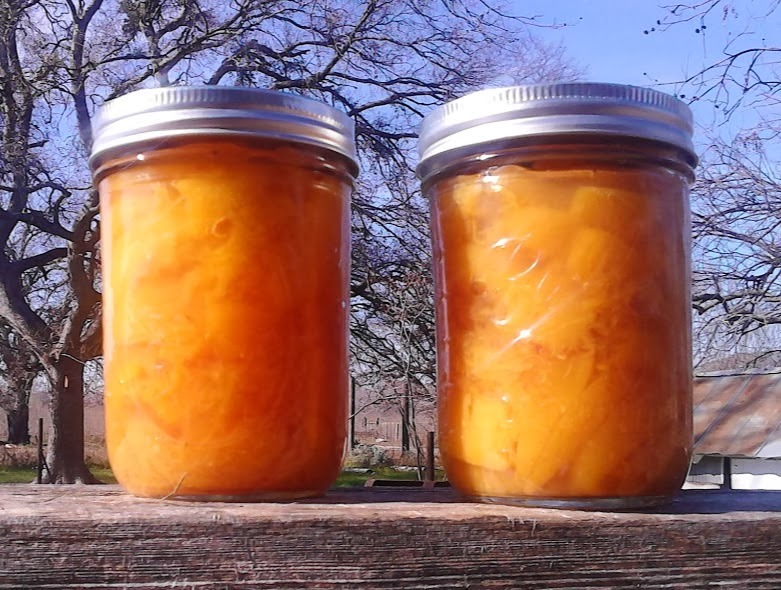 Canning jars - Only use jars made and sold for canning. Rings and NEW lids - Rings can be re-used, but lids cannot (unless they are Tattler re-usables). Cooking pot - Anything big enough to prepare the food you are going to put in the jars. Tongs for removing jars, rings, and lids from hot water - Special canning tongs are recommended for this, but you can use anything that will allow you to safely and firmly grasp and lift hot jars and lids from boiling water. Stove or other heat source capable of boiling water. Glass-top stoves are not recommended. Food mill, food processor, tomato mill, etc. Bring lids, rings, and jars just to a simmer in your canning pot, then turn off heat. To avoid lime deposits on jars, add a cup vinegar per gallon of water. · Use ONLY lab-tested recipes to ensure acidity stays in the safe range, and follow them exactly. Even something as simple as substituting “whole” for “sliced” can adjust the pH to dangerous levels later. · Be sure to use vinegar of the exact percentage of acidity your recipe calls for. · A note about tomatoes: Some tomatoes aren’t really as acidic as commonly thought, so need acidity added to make them safe to water-bath can. Refer to your recipe or the Ball Blue Book for specifics. Remove jars, lids, and rings onto clean kitchen towel laid out on counter. Immediately fill jars, being careful to keep rims clean, leaving at least half an inch of headspace (empty space between top of food and rim of jar). rings are designed to form a one-way valve, allowing pressure that builds up inside the jar to exhaust during processing (also called venting). If you tighten the rings too tight, the jars may break or explode. Venting is also why you leave the half-inch of headspace - so your food doesn’t get pushed out of the jars as they vent, dirtying the rim and possibly getting in the way of a safe seal forming between the lid and the jar rim. Place jars back in canning pot, making sure water is covering top of jars by an inch. If you stack jars, don’t stack directly on top of each other: instead, place one jar “staggered” over two below so they can vent. Cover pot, bring back to a boil and start timing. Process (boil) for the time recommended by your recipe. If canning in altitudes higher than 1000 feet above sea level, consult the link below about adjustments.